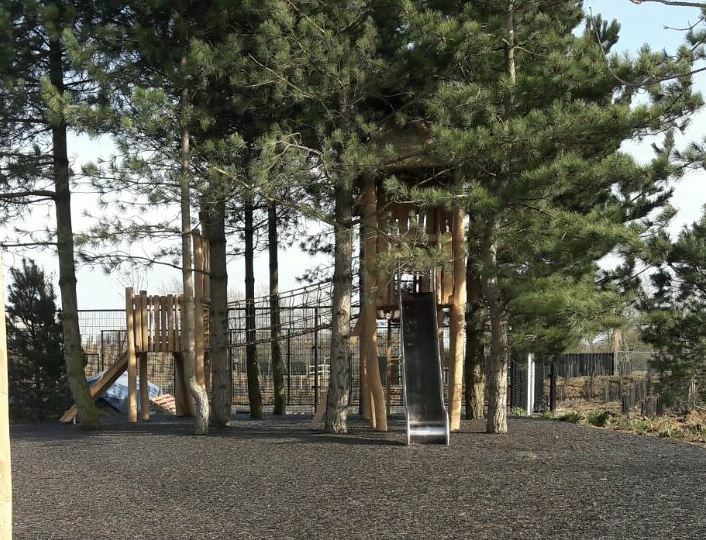 JungleMulch can be the perfect surfacing solution for play areas looking to keep a natural feel which is sympathetic to the surroundings. 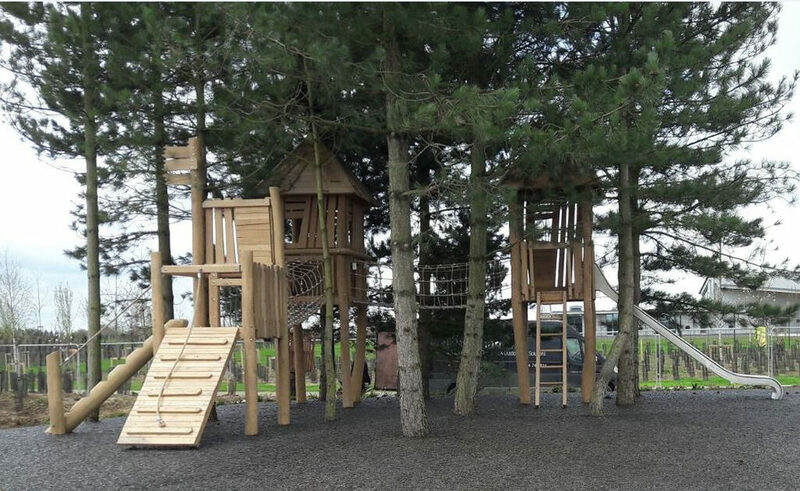 In this recently completed site, the organic colours of JungleMulch perfectly compliment the natural wooden equipment it surrounds while protecting against falls from some very impressive, tall equipment. On this project, the trees were retained to give a wooded canopy to the area which gives real impact. This works particularly well with a water permeable mulch product as the shreds flex to accommodate root movement – ideal for tree pits or planted landscaping. If you’d like a price of JungleMulch installed for your next project, please feel free to get in touch! You can reach our experienced team directly on 01564 742 811.